When the fashion genre of accessories isn’t really your thing—whether you’re a minimalist by heart or just can’t fathom being responsible for jewels draped around your neck or placed on your ears—the thought of decorating your hairstyle with bobby pins, headbands, ribbons, etc. might not leave you thrilled. But with braiding techniques, even those who are bothered by headbands, and what not, can wear a ‘do that mimics that of an accessory. This, of course, is without doing anything but picking a section of your locks and creating a pretty plait. If that’s not a new twist on braids, we don’t know what is. 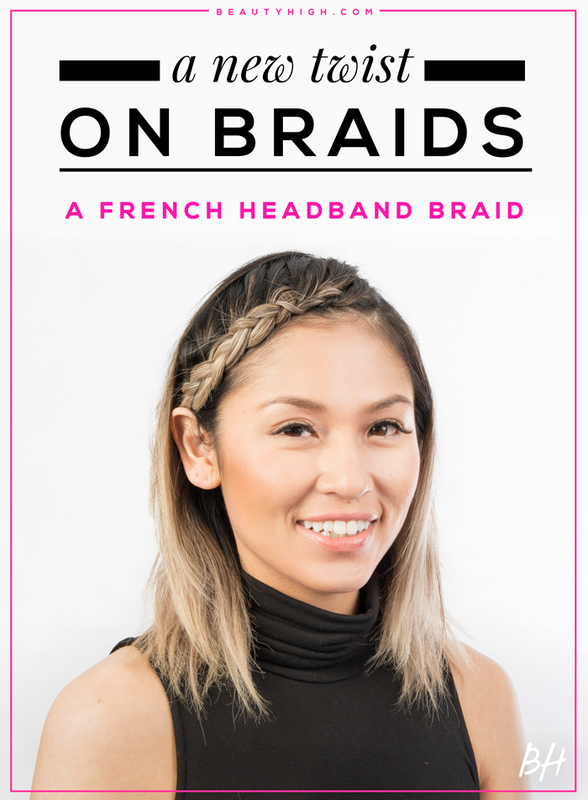 We turned to Master Stylist at MIZU Salon in New York City, Judy McGuinness, to get the lowdown on how to create such a look, specifically, this French Headband Braid below. Try it for yourself by following the directions and checking out the GIF below. 1. First, prep hair with moisturizing cream. 2. Smooth out your hair with this moisturizing cream and blow-dry your hair forward. You want your hair going in the direction of the braid, as opposed to being blow-dry back. 3. Create a deep side part on whatever side you like. 4. Section out about 2-3 inches of hair from the front of the deep side part. Clip the rest of it back. 5. Start to French braid that front section from the hair line down. You’ll only be including new hair as you braid from the back. 6. French braid until you get to your ear. 7. Once you get to your ear, continue with a regular 3-strand braid. 8. Pin the brand behind your ear at the back of your head. 9. Unclip your hair to cover the back of the braid.